Summary: This Wensleydale walk starts in West Witton and heads straight up Grasgill Lane to Penhill, the sentinel protecting the southern flank of Lower Wensleydale. 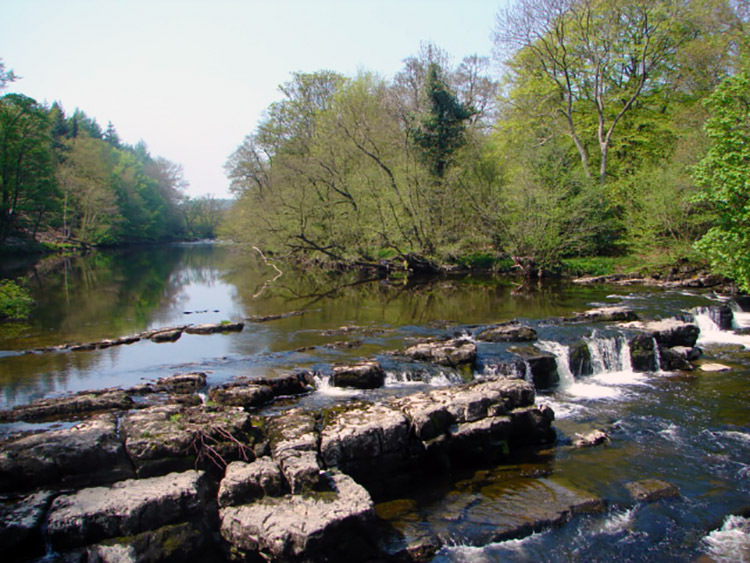 Then the walks descends to the graves of Knight Templars and then taking on a lovely riverside walk to Redmire Force before ending by returning to West Witton. 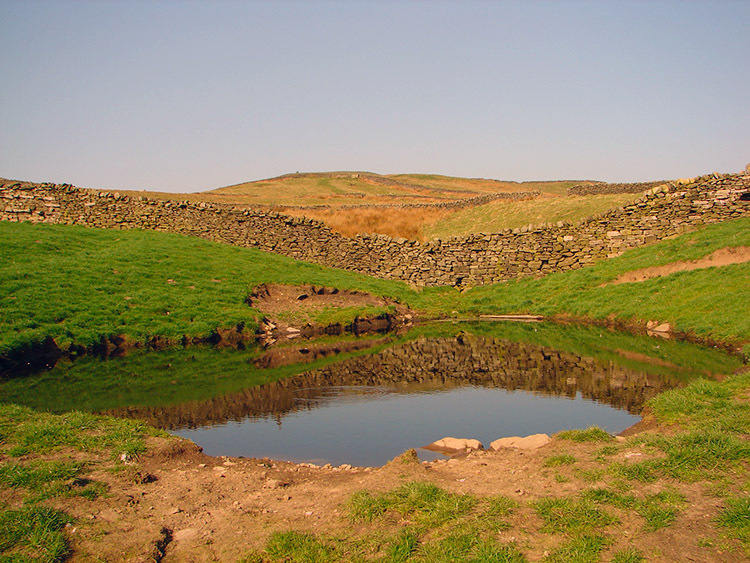 The first warm and sunny days of spring are always eagerly anticipated and as soon as they arrive I am itching to get back onto the fells and higher ground of our magnificent land. 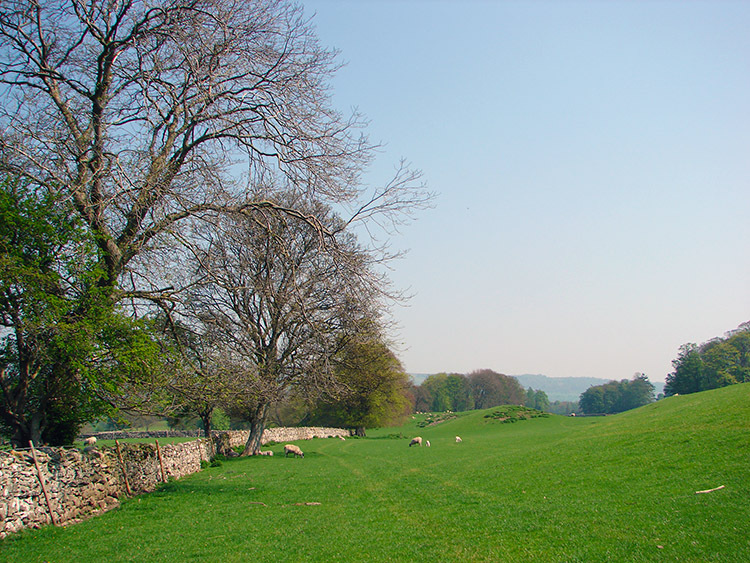 And so in early May 2008 when the sunshine warmed the land for the first time in the year I packed up my walking kit and headed out to Wensleydale. I had already decided 2008 was a year for new explorations; new hills and mountains to climb. The sentinel hill of lower Wensleydale that is Penhill was one that had eluded me too long. It had to be knocked off my 'to do' list. I had often passed Penhill while driving into Wensleydale from the east and wondered what it would be like on the summit. 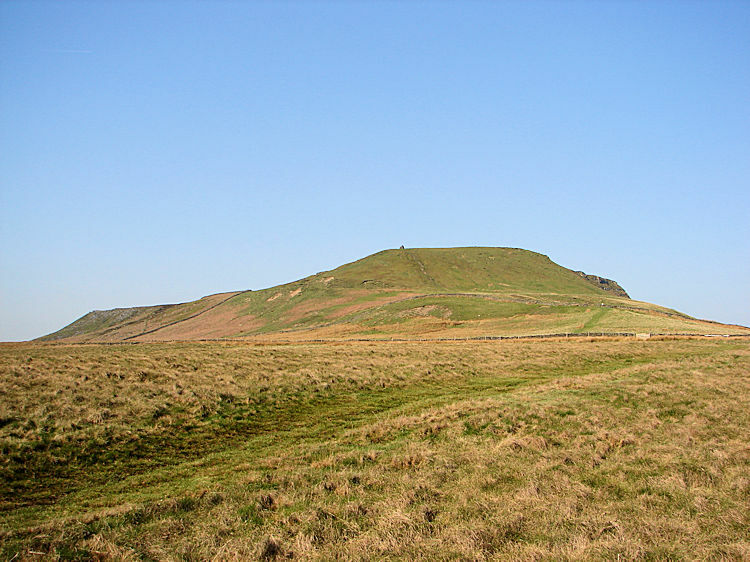 Today I was to find out about its top with Penhill Beacon and Penhill Scar to look for. 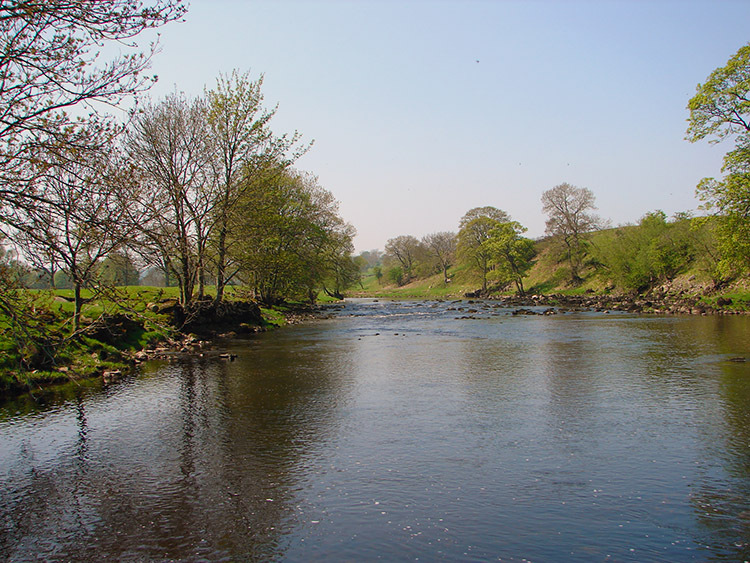 As I was planning the walk I made it into an interesting round by combining the ascent with a descent to Templars Chapel and then a walk north by crossing the A684 to the river Ure and another long overdue 'to do', the visit to Redmire Force. I began my journey in the village of West Witton. 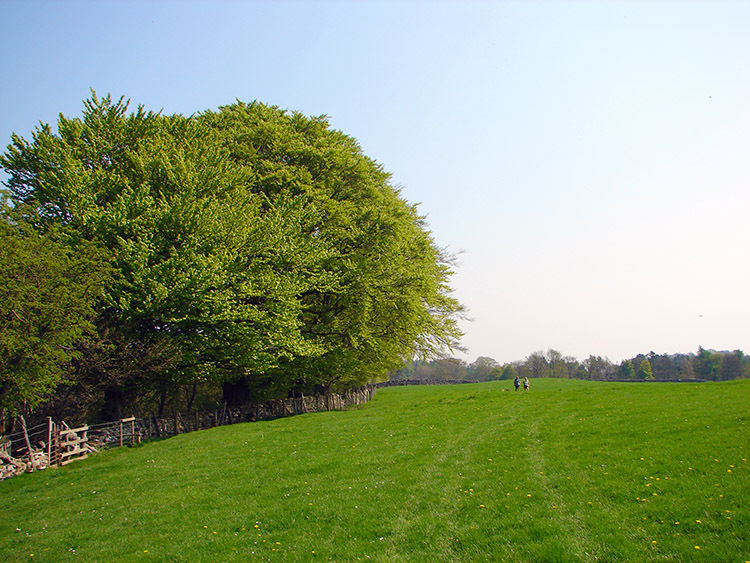 The day was incredibly beautiful with a blanket of blue sky above me ensuring a walk in unbroken sunshine. 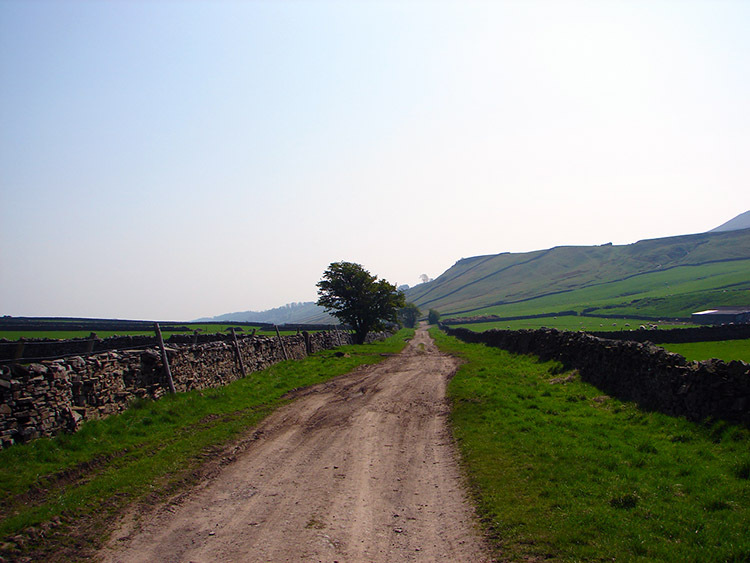 The early May temperature was to top 20 Celsius so it was just as well I set off early at 8.45am and did most of the climbing in the first hour, a 350 metre hike up from the village to Penhill via the Witton Steeps road which links the village to Middleham and Melmerby. It was already warming by the time I was half way up my ascent at the road junction near Penhill Farm. Here I took a quick intake of liquid then continued up to leave the road just before a cattle grid and then tracking due west past Swallow Hole. As I had climbed up the bank and across the fields I kept looking back north into Wensleydale with Castle Bolton and Bolton Hall standing majestic just as they have for centuries. As I continued west to Robin Hood's Well another aspect of Penhill came into view and it took me aback. It was an incredible moment and one I had never expected. Penhill took on the replica appearance of Pen-y-ghent as it is viewed from Horton in Ribblesdale with a distinct raised head to the right and a long sloping body falling to the left. The similarity stopped me in my tracks for a good while. Eventually I gathered myself to continue the final steep ascent to the beacon cairn on the summit. I huffed a puffed up that final clamber and by putting my head down and getting to work I was soon on top of the noted beacon hill. The sun shone brightly, I caught my breath and took all the view in. 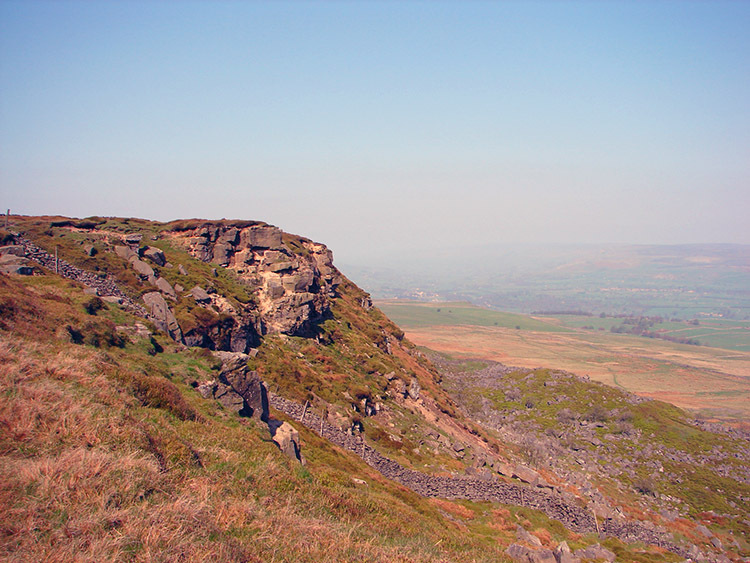 After my rest by the Beacon I pushed on west along the level summit ground to Penhill Scar and past onto Black Scar. This thrilling section was walked close to the edge with the hill falling steeply to the north into the Wensleydale valley. Boulders were strewn all over the ground below, some having being there a while and some quite recent. The landscape below the hill is constantly changed as storm erosion erodes another piece of the higher ground from its lofty height. As I walked I often looked down and then back up to splendour at the Upper Wensleydale land distant in the west. At Black Scar I had to stop my delight though. There was a delicate descent to undertake. There is no obvious track off the top level of Penhill to the clear path could see below. I had to zigzag down the bank. It was not at all difficult but I had to be careful. There was to be no racing down the hill. Safely down to the bottom of the bank I then walked on easy ground first north east, then north west and then north to arrive at the High Lane Bridleway. The time was now around 10.30am and the heat of the day was building. It was truly glorious as I ambled along the lane for 700 metres before turning north along another track and then westerly through a field that delivered my at the tombs of the Knight's Templars at the 'Penhill Preceptory'. Here a sign read "These walls and graves belong to a chapel in a preceptory of the Knights Templar built in C.1200 and handed over in the suppression of 1312, to the Hospitallers. The chapel, the remains of which were uncovered in 1840, served adjoining residential buildings that have not been exposed". Another sign below states the site is protected as a monument of national importance. Quite right. 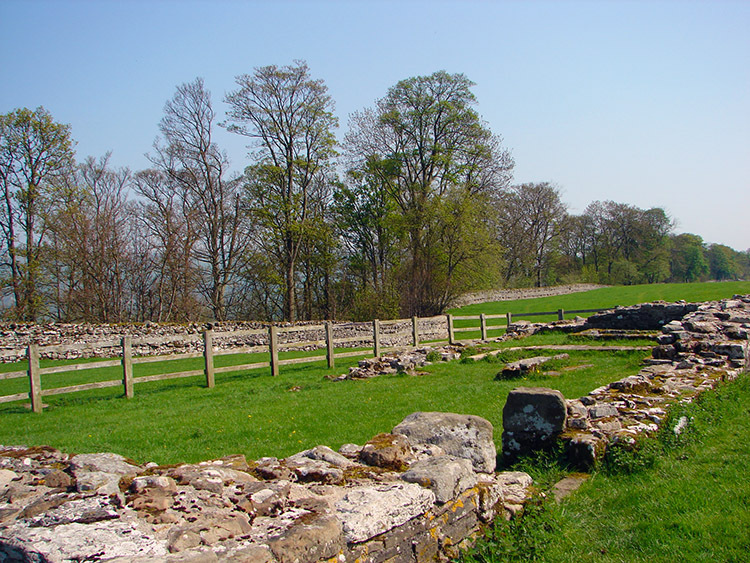 The Templars Chapel is in a supreme location in wondrous Wensleydale country and I was fortunate this day to spent a few quiet moments in the Knight's Templars resting place. Two highlights covered, one a majestic hill, another an historic tribute and I was anticipating one more. I was to get two. 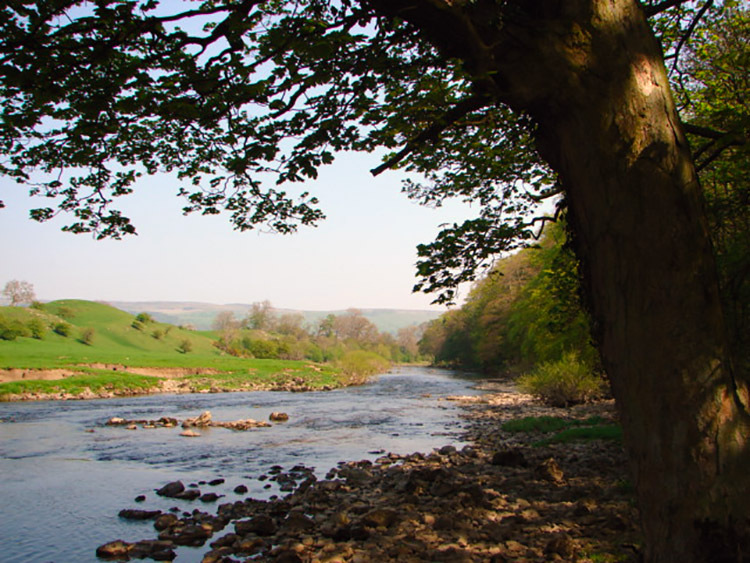 The third distinct stage of my walk took me north from Templars Chapel to Temple Farm and across the A684 to the banks of the River Ure and then downstream to Redmire Force. 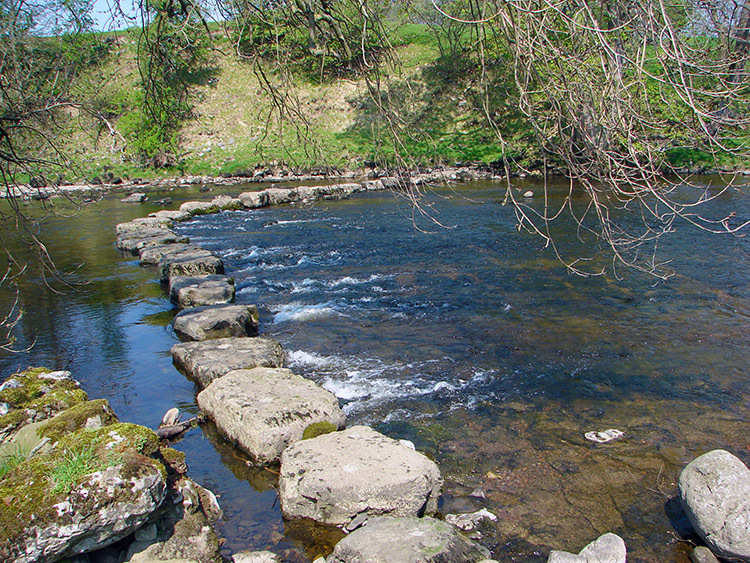 I did not expect to see stepping stones as I reached the river (looking at the map there is a track that crosses) but on seeing them I just had to take an excursion over them across the river. 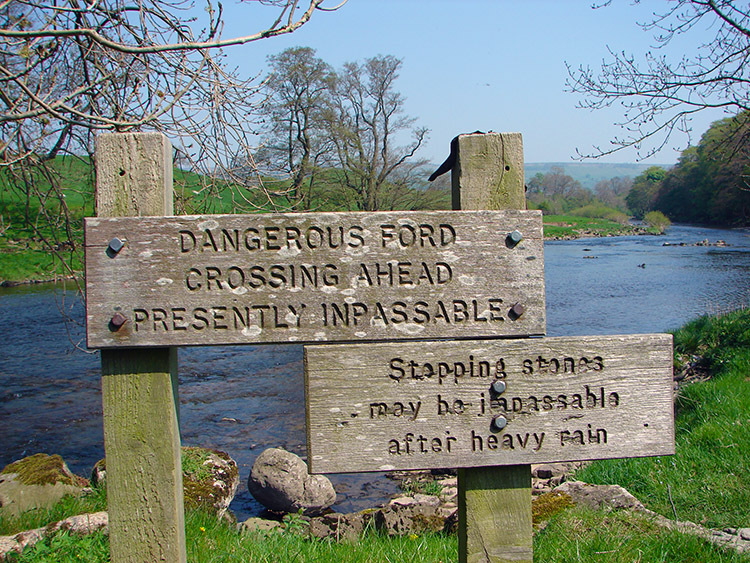 The stepping stones were firmly embedded into the river and the crossing was easy. I enjoyed my walk over to the northern bank and back. 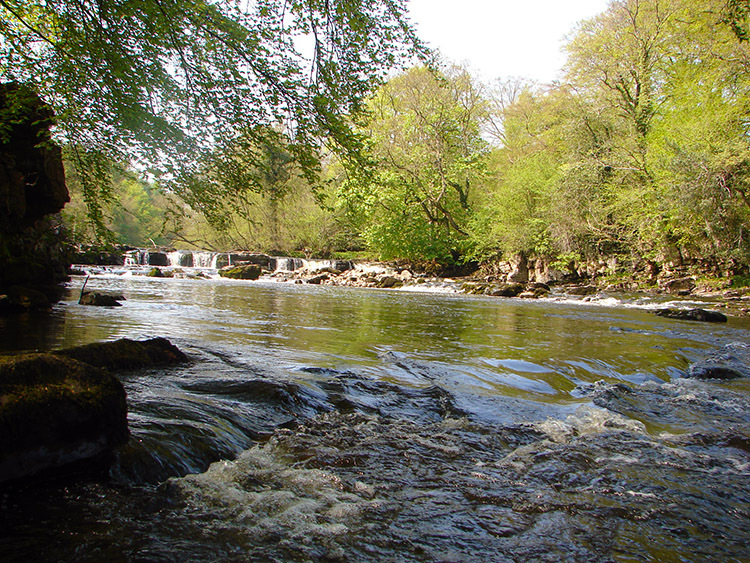 Then a delighted me headed off along to Redmire Force where I enjoyed a lovely lunch while watching the waters of the river cascade over the most upstream of three stepped falls. What a way to enjoy lunch. I also took the liberty to cool my feet in the river. It was lovely and very much appreciated. 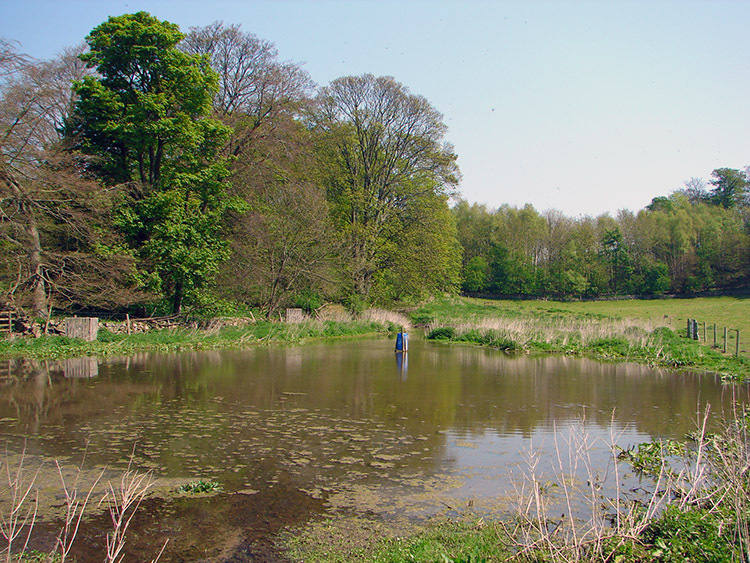 After my enjoyable time on the banks of the river I packed up my kit and made the final leg of my first real walk of 2008 by following fields of lush grass to Wanlass Park and then skirting Wanlass Farm to join Flats Lane which led me in a southerly course back to West Witton. I had a great walk. So where will my next one be? I just hope it is as good.